If uniqueness could be translated into an unforgettable experience, then it couldn't get better than Singapore's Night Safari. Enter the world of the wild for a magical experience. 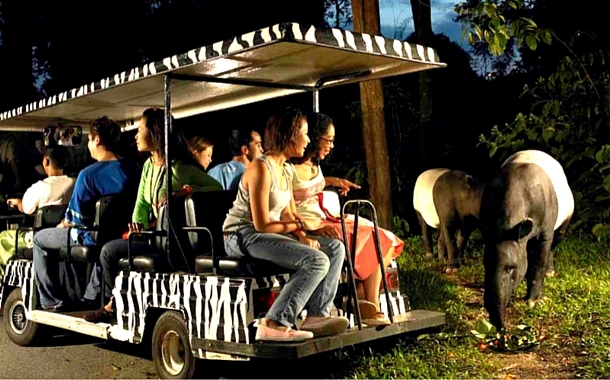 With over 1200 animals of over 110 exotic species to watch out for, the night safari is one exhilarating experience. Put your Singapore visa to good use, and take a tour of this elusive Night Safari. The Night Safari, Singapore features nocturnal animals and allows you to walk around on specific trails in a cage-free environment, thus making it the most exciting wildlife safari experience. 1. 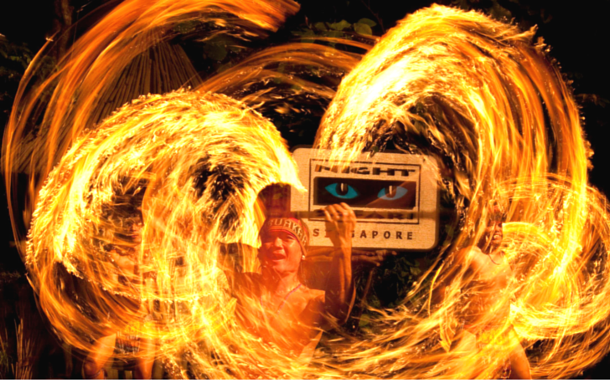 See the tribal dance and fire eating show. 2. Watch the Creatures of the Night show. 3. Take a ride on the Night Safari tram. 4. Explore the four walking trails. Before you start your adventure at the night safari, we recommend you to have an evening snack or early dinner. There are multiple cuisine options in the food court area which are designed in animal theme. The best would be Bongo Burgers or even Ulu Ulu Restaurant. If you arrive at the Night Safari before time, you can get a comfy spot at Bongo Burgers and enjoy the Bornean Tribal Show (starts at 06:30 pm). It’s great to savour the burger whilst getting entertained by tribal fire performers who are not eating burgers but fire balls! Once the Night Safari gates open, head directly to the Creatures of the Night Show which features animals like raccoon, a smoky leopard, a python and even a wolf along with many others. The 20-minute show in amphitheater style is definitely a must watch especially for kids! The best highlight of this show is the unexpected revelation of a whopping size reticulated python which is actually hiding in one of the row seats in front of the stage! There are free reigning zones (walking trails) along the tram’s route – namely the Fishing Cat trail, Leopard trail, East Lodge trail and Wallaby trail. You can get off at any walking trail as they are fun, easy to navigate and provide a closer look of the animals. This is the best part of the night safari as you walk through a thick forest area with just natural light to guide you! Scary, isn’t it? But it’s fun and totally safe, trust me! The safari is divided into seven geographical zones with four pathways that lead you through all of them. So be careful of the bats flying behind you or the crickets above you. Each walking trail can be explored between 20-40 minutes depending on your pace and interest. Enjoy the ‘rainforest breeze’ and the nocturnal activities of the animals all at the Night Safari, Singapore during your next visit to the Lion’s City! If you're wondering how exactly to experience all the glories you just read above, all you need to do is book with our Singapore tour packages and you'll be on your way to experience magic.